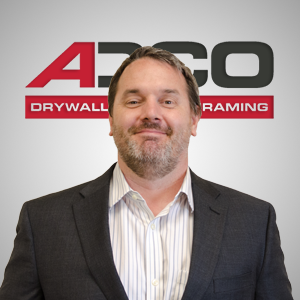 Will joined ADCO shortly after the re-birth of the company in 2011 and became the first project manager under the new leadership. Will has nearly 25 years of experience in construction, starting as a laborer and carpenter and eventually finding his way behind a desk. Will has hands-on experience in a wide range of construction trades. Specializing in wall and ceiling systems for the past 10 years, Will has the knowledge and experience to tackle any drywall problem. Will is passionate and enthusiastic about assemblies, constructability, building codes, fire tests, spreadsheets, and always finding a better way to do things.